Home Top News Jungle Drums: Episode 18 – E3 Extravaganza! JungleDrums host, AcuteJungle66, was joined this week by fellow Scholarly Gamer, Steve Carnegie (Cronos53), to bring you some of the top E3 news of 2017! Viewers on Mixer got a little treat with the Xbox conference this year as Microsoft streamed the entire live conference in 4k, along with some free giveaways to the Mixer chat during the conference. Officially announcing the new Xbox one X console (previously known as Xbox Scorpio), said to release at the end of this year, controversy has already sprung about the specs, the content and most importantly, the price reveal. To gaming enthusiasts and graphics junkies of the community, they know what they’re getting is a very good deal, but to the casual eye and those unbothered by specs of the systems, it may be a hard sell. Even though they had no live conference, Nintendo’s game reveals for the Switch had fans very excited. Showing cross platform Minecraft play with Xbox, Elder Scrolls: Skyrim amiibo support, Super Mario Odyssey getting some extensive gameplay time and much more! Sony announces their highly anticipated remake for Shadow of the Collossus, a totally new IP Detroit: Become Human, Capcom’s Monster Hunter franchise finally seeing a next gen console release and more. Ubisoft shows a bit more gameplay from the upcoming prequel; Assassin’s Creed Origins. A new title called Skull and Bones takes you to the seas with 5vs5 multiplayer navel battle, The Crew 2 brings in more open world along with planes and boats and much more. Bethesda opens up with a bizarre introduction to “Bethesdaland”. Mostly showcasing previous titles, such as Elder Scrolls Online, Fallout Shelter and Skyrim. Some games did stand out for them like Fallout 4 VR, and the Dishonored DLC; Death of the Outsider. 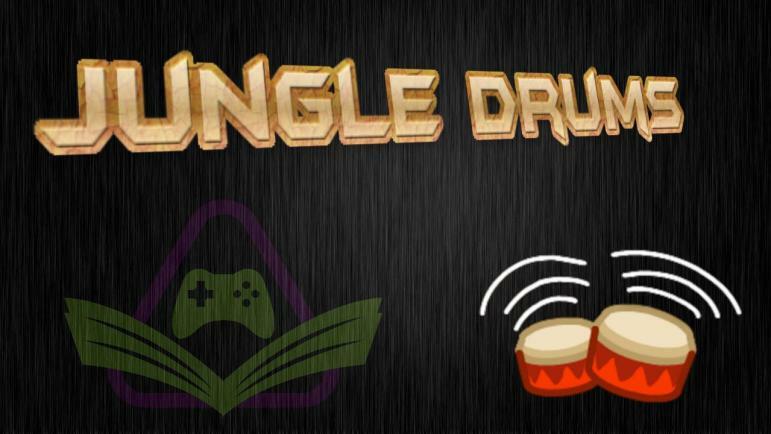 JungleDrums is a weekly news show run by one of Scholarly Gamers’ dedicated streamers, AcuteJungle66. Topics discussed in the show focus heavily on gaming, highlights, streams and tech, but will typically hover around hot-button topics of the week. Joining AcuteJungle66 are a rotating selection of guests, ranging from friends of his interested in the topic at hand, fellow Scholarly Gamers, or members of raiding parties from gaming staples of his such as The Division or Rainbow Six Siege. Live on https://mixer.com/AcuteJungle66 on Thursdays at 9pm GMT.